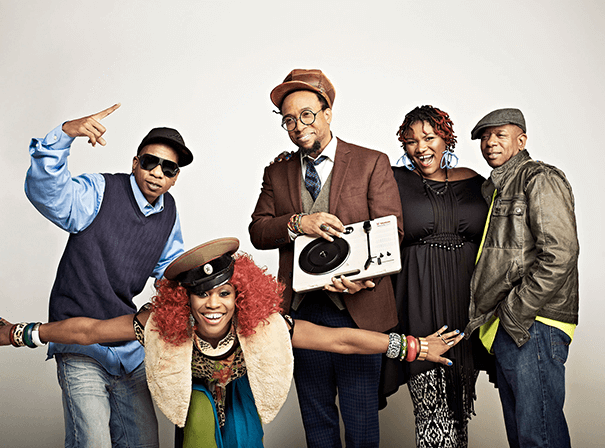 Arrested Development is one of the most acclaimed hip hop groups of its generation. More than two decades ago they first burst onto the scene with lyrics that were defiant yet full of hope, and as such they soon picked up a Grammy for Best New Artist. In addition to this, they received a second Grammy Award for Best Rap Single for their hit Tennessee and they have not faltered since. Using their income to donate to charities like the ANC and Nelson Mandela, their biggest hit was Mr Wendel, and much of the money they made from it went to the National Coalition of the Homeless. Soon after, they were enlisted by legendary director Spike Lee to score a track for his movie X, about Malcom X. The track was called ‘Revolution’, and is now synonymous with one of the most influential black movies in history. Of course, an album followed for the group: ‘3 years, 5 months and 2 days In the Life of’ sold more than four million copies and follow up ‘Zigalmaduni’ was also well received, and in fact picked up a Grammy nomination. In the wake of an increasingly negative time for hip hop, Arrested Development took a break, but returned with a bang in 2000 – new line up and new album ‘Heroes of the Harvest’. Since then the group have continued to spread their message around the world in a series of mesmeric live shows, always ensuring they leave audiences on a high each and every time.